A New Type of Civil War Book is Here! 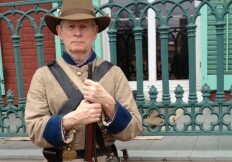 Many books have addressed America’s Civil War. This book provides a completely different outlook. Author, Vernon Dutton brings history to life in a powerful and personal way. 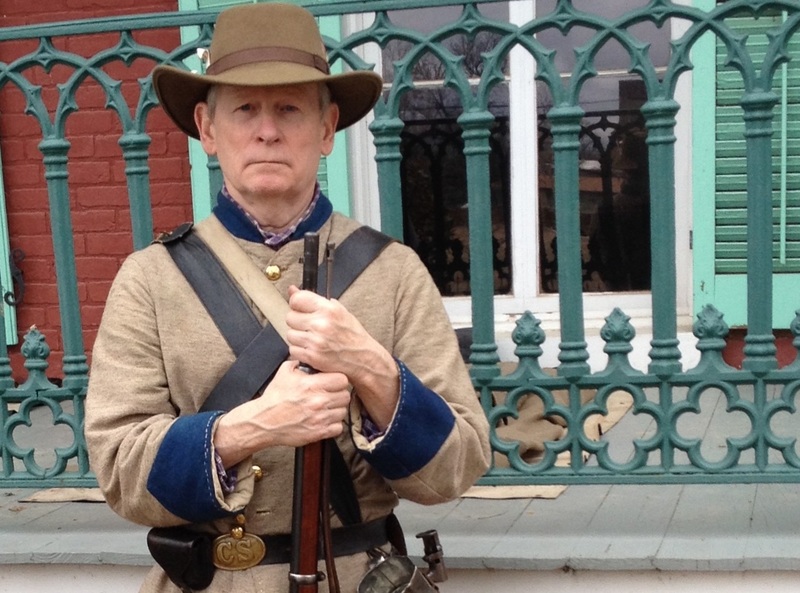 Civil War Reflections is driven by the stories and poetry of a modern-day reenactor as he takes the reader on a journey of what he experiences while participating in the reenactments of classic Civil War battles. The book incorporates Dutton’s passion for Civil War history, and his emotion over what the actual soldiers endured comes through with shocking reality. The poems cover a wide range of topics. Some introduce fellow reenactors. The anthology contains one poem about Father Abram J. Ryan, the poet-priest of the Confederacy; and other poems detail modern-day Civil War battle reenactments. The most poignant poems are the ones that transport you back to a day and time, as if told by a soldier who has crossed the Dark River. Vernon receives words for these poems from what he calls “The Source”. In addition to these powerful poems, the book includes the short story “A Line in the Sand” which exhibits the ardor and patriotism of the men in the ranks, and a one-act play “All Hallows Eve”, which adds the mystery of a hidden dimension by involving Civil War soldiers in this eerie time of the year. 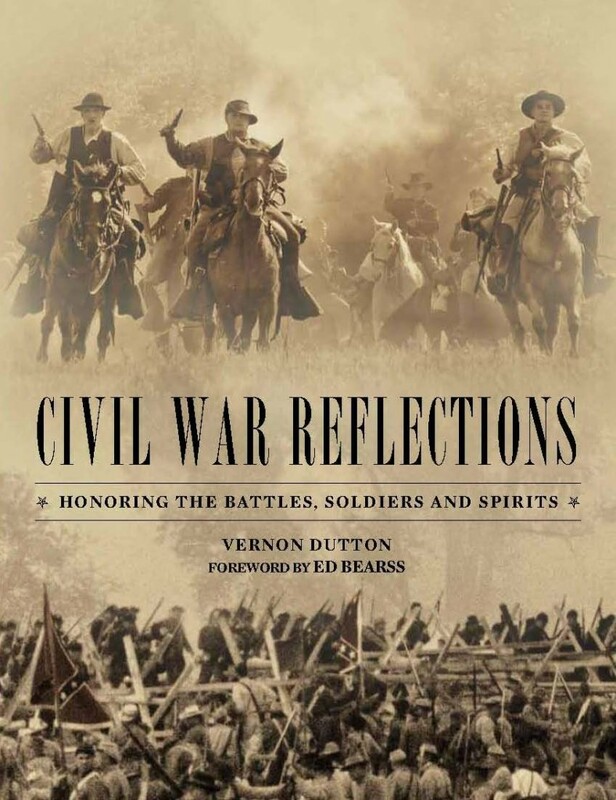 With Foreword written by Ed Bearss, Chief Historian Emeritus of the National Park Service, and action photographs of reenactments to enhance the poems, Civil War Reflections brings 19th Century history to life for the present-day reader.